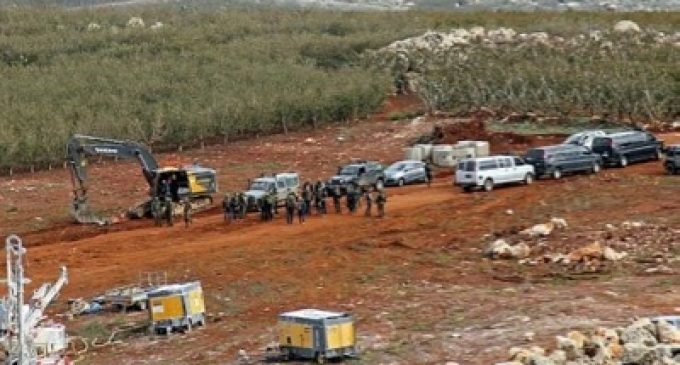 Tsahal has declared that it discovered two of Hezbollah’s tunnels that penetrate into Israeli territory. The Permanent Representative of Israel to the UN, Ambassador Danny Danon, has denounced this as a violation of Resolution 1701 by Hezbollah and has called upon the UN to condemn it. Mr Danon thinks that Iran is funding the construction of these tunnels. The Interim Force of the United Nations in Lebanon (IFUNL) held a meeting where both Israeli and Lebanese representatives were present. Israel showed videos that allegedly show the tunnels but no proof of where they are located nor how they are funded by Iran. In other words, Israel has failed to provide proof that Lebanon is violating Resolution 1701. Lebanon has denied that these tunnels exist and recalled that, for the past 12 years, Israel has violated Lebanese air space and sea space about 150 times a month. The Lebanese Minister for Foreign Affairs, Gebran Bassil, announced that he was preparing to make a request to the United Nations to address Israel’s incessant violations of the resolution and the defamatory accusations that Israel persistently makes. The highest Israeli authorities are used to telling the most shameful lies. 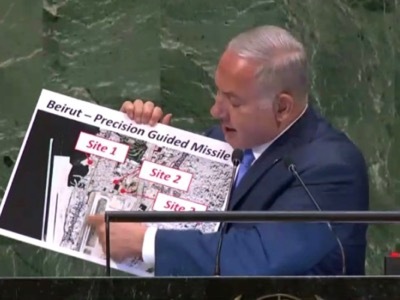 In September 2018, from the UN General Assembly tribune, Prime Minister Benjamin Netanyahou had already accused the Hezbollah of constructing an arms factory in the heart of Beirut, thus using the population as a civil shield. Minister Gebran Bassil had then invited the ambassadors in post in Lebanon to come to verify for themselves the lies of Netanyahu and took them to visit the places in the Lebanese capital that Netanyahu had mentioned. Another example: on 20 September, the Chief of Staff of the Army of the Israeli Air Force, General Amikam Norkin, went to Moscow to justify destroying a Russian military plane which was based in Syria and tried to do by saying things that totally contradicted the radar and satellite recordings. In Israel, the press mentions that it is possible that this propaganda operation was thought up by the Prime Minister to attack his former Minister of Defence, Avigdor Lieberman, or to divert the Israeli public attention from his own problems with the justice system, at a time when he is about to be put under investigation for embezzlement of funds.